Metal-on-Metal hip replacements – are they fit for purpose? 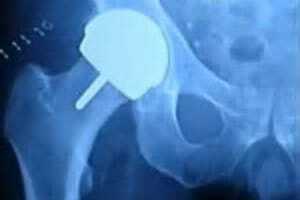 Metal-on-metal hip replacements have recently been the focus of much negative media coverage. This blog considers what they are, why they are used and why this type of joint replacement surgery is making the news. All artificial hip implants carry risks, including wear of the component material. However, particular focus and media attention has fallen on the additional unique and serious risks associated with metal-on-metal hip replacements. In metal-on-metal (MoM) implants, the metal ball and the metal cup should slide against each other to facilitate easy and pain-free movement. The risks associated with this and other parts of the implant where two components connect, is that due to wear and corrosion, tiny metal ion particles can eventually be released into the soft tissue around the implant, causing varying reactions in patients, described by terms such as metallosis, ALVAL (aseptic lymphocyte-dominated vasculitis-associated lesion), adverse reactions to metal debris and pseudo-tumours. By the 1970s, MoM models were rejected in favour of hip systems using alternative materials such as polyethylene or ceramic. However MoM systems were gradually reintroduced as they were thought to be lower wearing and their larger head sizes presented a lower risk of dislocation. In the past 15 years, one of the world’s largest manufacturers of MoM hip implants, DePuy, a subsidiary of household name Johnson & Johnson, have been named and shamed in one of the greatest health scandals of recent times, marketing their ASR and Pinnacle Ultamet hip implants, despite knowing of the increased risks of metal in comparison to alternative composites. As a result, the ASR model was recalled in 2010 and the Pinnacle Ultamet was discontinued in 2013. To date, tens of thousands of recipients of the MoM hips have been affected by the malfunction, with some suffering serious illness and even developing tumours attributed to the toxins. Many have had to endure the pain of revision surgery to remove the faulty hips and implant safer alternatives. At the time of writing, lawyers on behalf of 600 individuals injured as a result of MoM hip implants have been set a trial date in October 2017 against DePuy and another high-profile manufacturer Corin. Trials of other manufacturers will be stayed until the outcome of the DePuy/Corin is known. In June 2012, the Medicines and Healthcare Products Regulatory Agency guidelines advised that larger MoM hip implants should be checked for ‘life’, and not just for five years, with tests being performed to check for metal particles in the patient’s blood. If you have any questions about substandard metal hip replacement, or any other orthopaedic issues please contact a member our specialist team here, who will be happy to answer any queries you have.